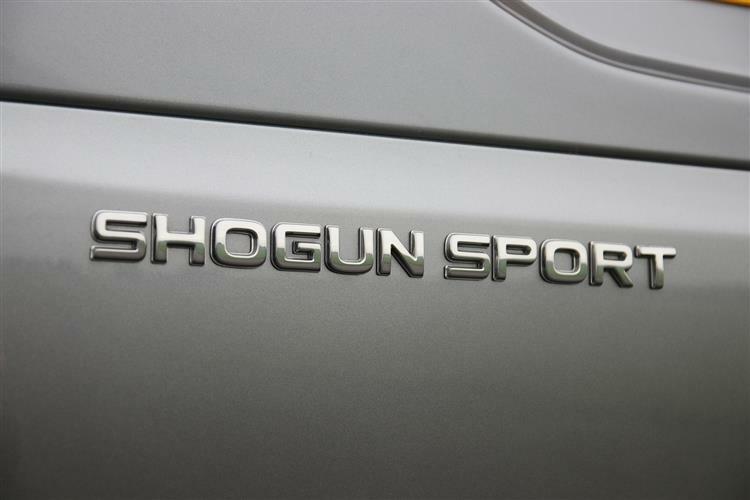 We've seen the Shogun Sport in the UK before. The first generation version of this model was, like this one, based on the brand's L200 pick-up truck and was launched back in 1998, initially badged as the 'Shogun Challenger', before being re-named a year later the 'Shogun Sport'. This car sold until 2009 in the UK and, though it wasn't replaced for our market, continued in redesigned form in other markets. 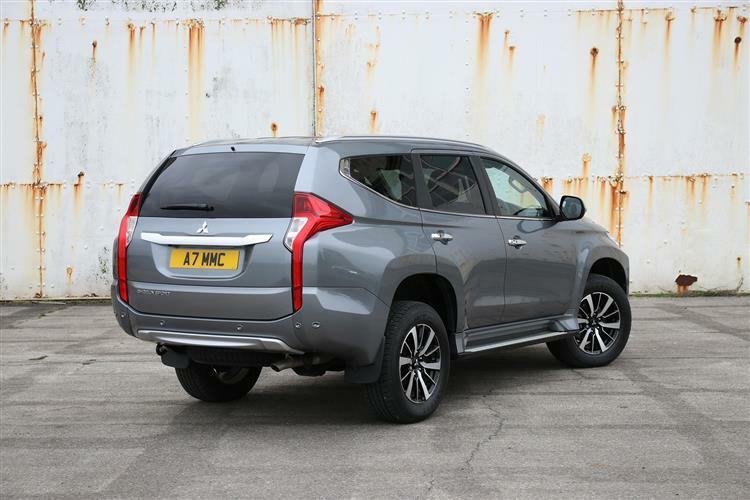 It's only with the explosion of interest in recent times in SUVs that has made Mitsubishi's UK importers decide to bring the latest version of this car back to our shores. It fits into the company's SUV range between the Outlander and the full-fat top Shogun model. Mid-sized SUVs seem to be everywhere these days, but few of them are much use off a paved surface. That fact doesn't trouble the vast majority of modern family crossover buyers, but a few of them do really want to venture off the beaten track - or perhaps they want to engage in lifestyle activities that might involve things like towing on slippery tracks. It's these people that Mitsubishi are targeting with this Shogun Sport model. 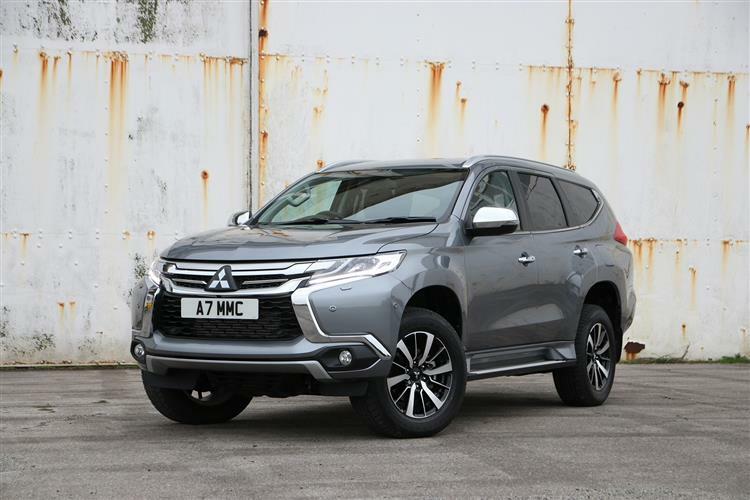 It gets the same 2.4-litre turbodiesel engine you'll find in the current L200 pick-up that also provides all the underpinnings used here - so don't expect pin-sharp handling or a silken ride. Still, this unit produces 181bhp and a decent slug of torque - 430Nm - so this model should be well set for the towing duties that'll be assigned to it by most likely owners. 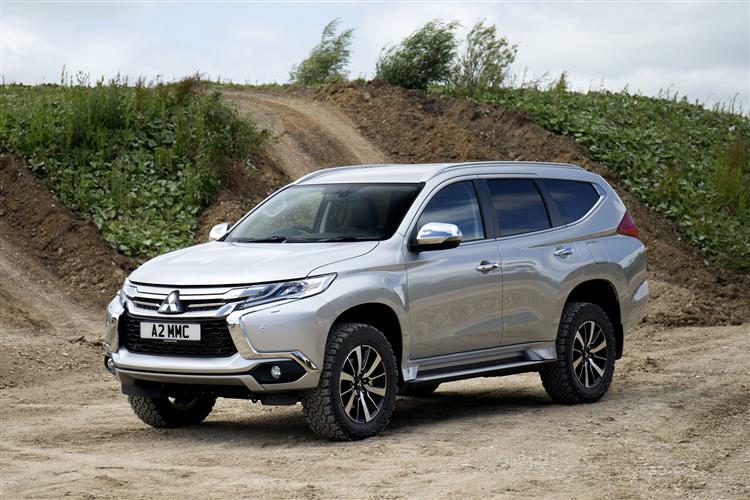 Drive comes via Mitsubishi's Super Select II 4x4 system and a new, eight-speed automatic transmission. The Super Select II set-up allows the driver to switch seamlessly between two-wheel drive and four-wheel drive on all terrains. On tarmac, this means that drivers enjoy optimum efficiency in two-wheel drive mode, but can switch to four-wheel drive for extra stability when towing or in slippery driving conditions. The standard specification also includes Hill Descent Control, Trailer Start Assist, Hill Start Assist and a dedicated off-road mode. 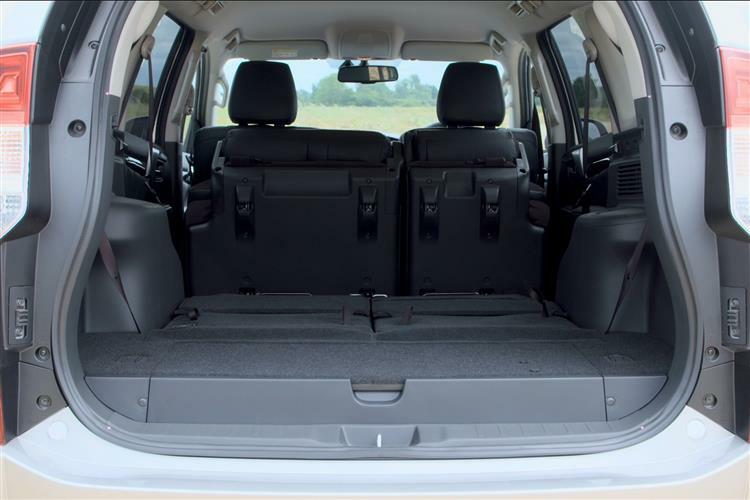 The Shogun Sport combines comfortable space for up to seven people with spacious levels of versatility and practicality, offering up to 1,488-litres of carriage capacity with the rear seat folded. Don't expect the third seating row to be really comfortable for adults, but children will be quite happy there. And there's comfortable levels of space in the middle row you'll be using more often. The front of the cabin shares most of its fixtures and fittings with the L200 pick-up, so don't expect the more up-market feel you'd get in most obvious 7-seat 'D'-segment SUV rivals. Still, it's well equipped and everything should be easy to keep clean and seems to be built to last. The dash varies its hard-wearing plastic with splashes of silver and piano black trim and there's a smart high-mounted touchscreen that includes navigation and an incorporated rear view camera display. Through the leather-stitched wheel, you view a clear set of dials separated by an information display and above that, a graphic designating whether drive is going to all four wheels or only the two at the front. 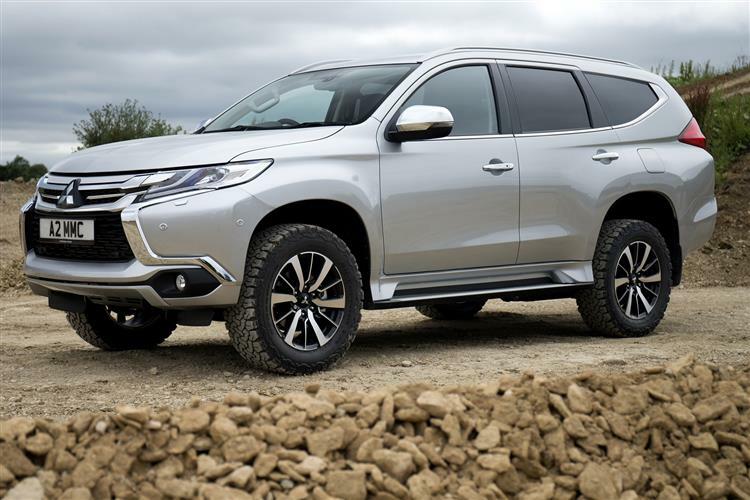 Prices start at around £37,000 for the entry-level Shogun Sport 3 variant. That pitches this SUV against strong (though less capable) SUV 'D'-segment 7-seat competitors like Hyundai's Santa Fe, Kia's Sorrento, Skoda's Kodiaq and the Land Rover Discovery Sport. To face down models like these, this model needed strong equipment levels - and gets them. All variants feature leather upholstery, electrically-adjustable front seats, power folding mirrors, full-LED headlamps and tail lamps, dual-zone climate control, a reversing camera with rear parking sensors, keyless entry, privacy glass and automatic headlamps and wipers. 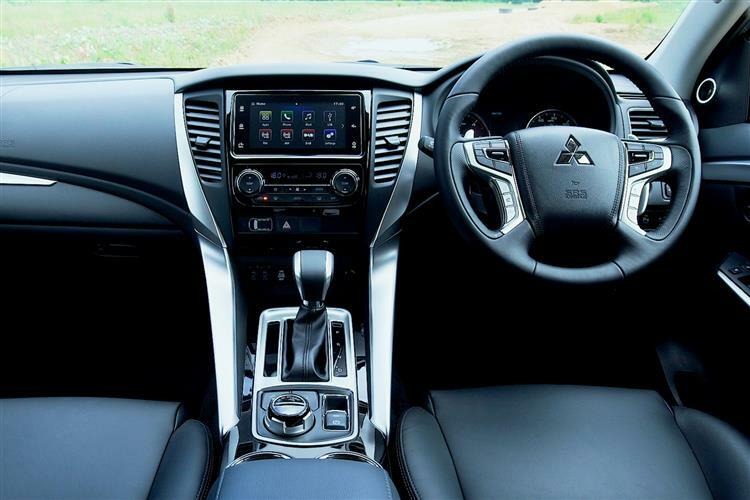 Bluetooth connectivity with music streaming is also standard, as is the Mitsubishi Motors Smartphone Link Display Audio system which allows users to connect to apps or other features of their Apple or Android smartphone through the touchscreen or via voice control. 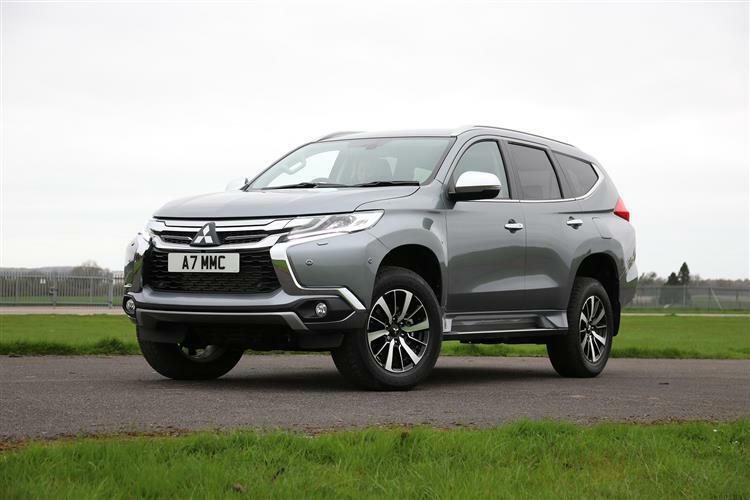 Priced from around £39,000, the plusher Shogun Sport 4 adds heated front seats, the Mitsubishi Power Sound System with additional tweeters and a 510W amplifier, headlamp washers and a full rosta of camera-driven safety kit. This includes Adaptive Cruise Control and Forward Collision Mitigation which uses radars in the front grille to judge whether there is risk of a collision with the vehicle in front. There's also a Blind Spot Warning system, a 360?? view camera and the Ultrasonic Mis-Acceleration Mitigation System, which utilises front parking sensors to halt any accidental sudden acceleration when any obstacles are detected nearby. Given that this model rides on the heavy underpinnings of a light truck, you probably won't be expecting the efficiency figures to be much to write home about, but actually, the Shogun Sport doesn't do too badly. 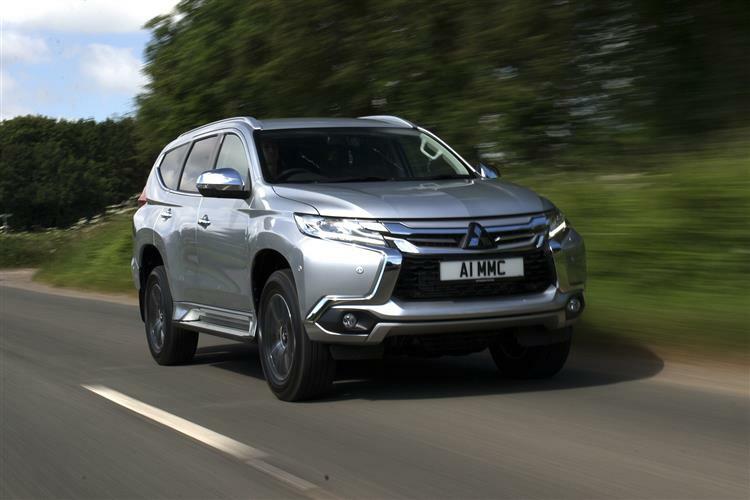 Obviously, it can't get near the kind of fuel and CO2 figures you'd get in rivals like Land Rover's Discovery Sport or Skoda's Kodiaq, but most owners wanting something a bit more capable than that should be prepared to put up with the returns Mitsubishi is offering here. Specifically, 31.4mpg is possible on the combined cycle and 222g/km of CO2. There's a decent five year warranty, pre-paid servicing packs are available and residual values should be strong. As you'd expect in this day and age, there's a 12-year anti-perforation warranty. And three years of pan-European roadside assistance and homestart are included in the price. 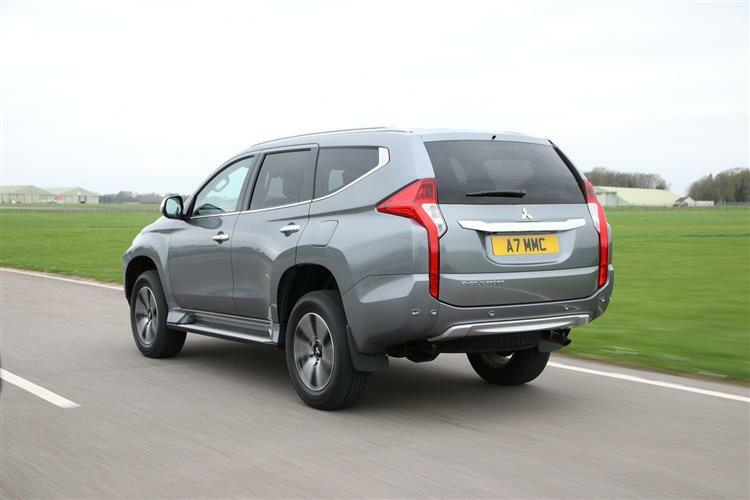 The Shogun Sport is an interesting alternative to the volume-maker 7-seat contenders in the SUV 'D' sector. Don't bother with it if all your driving will be done on-tarmac. But if at last some of the time, you'll need to tow heavy loads or venture from a paved surface, then this Japanese contender could appeal. It's well equipped, smart to look at and has proven underpinnings that won't shake themselves loose the first time you power up an unmade track. In short, it's an SUV worthy of the name. And there aren't too many of those about these days.